This is the tomb of the deified Elephantine nobleman, whose sanctuary was built on Elephantine, and who was honoured by no less than eight generations. 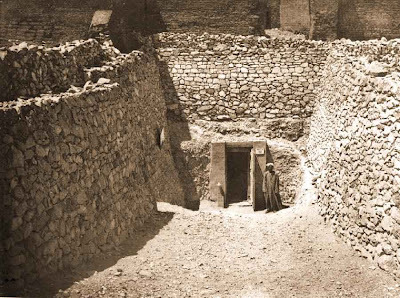 His tomb is in poor condition, but his autobiographical text, recorded on each side of the entrance doorway, enables us to trace his activities. 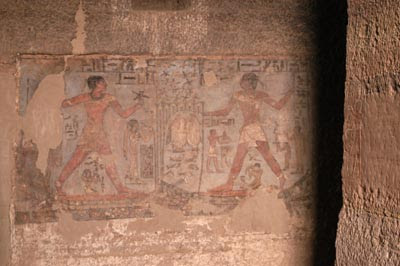 Pepi-Nakht conducted several campaigns into Lower Nubia. On one occasion, he suppressed a rebellion and returned with captives, including the children of the chiefs as hostages. On another occasion, he brought back two Nubian chiefs themselves in order to talk matters over with the Egyptians and come to an amicable settlement. 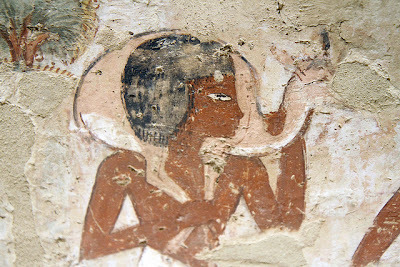 Pepi-Nakht also had a confrontation on the Red Sea coast when he and his troop force slew large numbers of ‘sand- dwellers’; this was in retaliation against the bedouin tribes that had killed a certain Enenkhet and his men, who were building a ship on the Red Sea coast with which to sail to Punt. 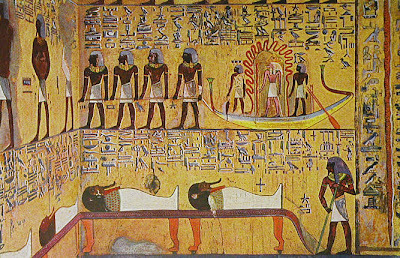 Pepi-Nakht returned to the Nile valley with the body of the deceased nobleman. 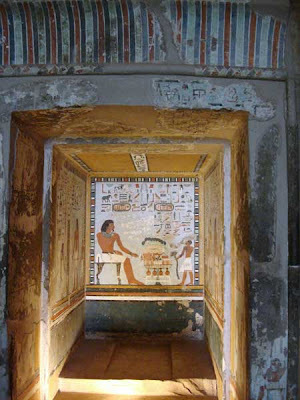 The main chamber is all that remains today of the tomb of Sennedjen, an official at the time of the XIX Dynasty and «Servant in the Square of Truth». The paintings found here are, for their liveliness and freshness of colour, among the most beautiful of the entire valley. On one end wall is painted Sennedjen, who, accompanied by his bride, works in the Fields of Ialu (the Egyptian paradise), plowing, sowing and harvesting grain. On the other end wall (below) the husband and wife worship the gods in the After-life. 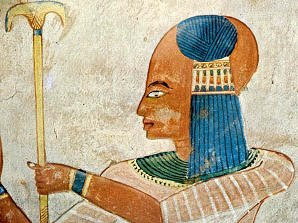 At the head of all the other gods is Osiris who, with his green skin, symbolizes the renewal of life at springtime. 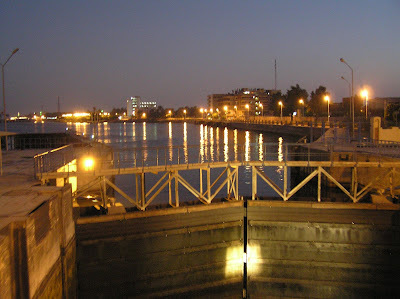 In ancient times this was the capital of the Illrd nome or province of Upper Egypt. It was called « Latopolis» by the Greeks because of the worship of a sacred fish, Lato, which was the object of a special cult and of which numerous mummified examples have been found. The present village only contains a temple dedicated to the god Khnum which is a Ptolemaic restoration of a pre-existing XVIIIth dynasty temple. 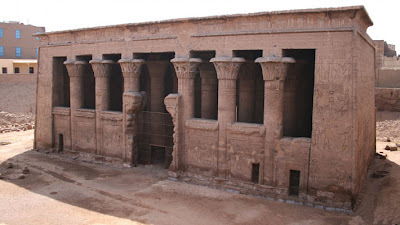 The hypostyle hall, which is 33 metres by 18 and contains twenty four columns 13.5 metres high, is more or less intact. The capitals of the columns are the most interesting feature thanks to the various sculpted floral motifs. This tomb, built by Sabni for his father, comprises a single chamber, crude in both construction and decoration. There are eighteen roughly hewn columns, in three rows. A stone table or shrine with three legs is situated between the two columns facing the entrance. Representations on the walls and columns are poor. 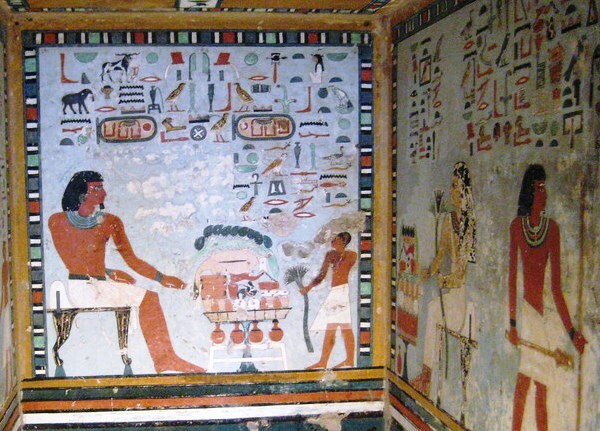 They show the deceased receiving various offerings. To the left of the entrance is a rural scene of ploughing and tilling of the land and donkeys laden with the harvest. 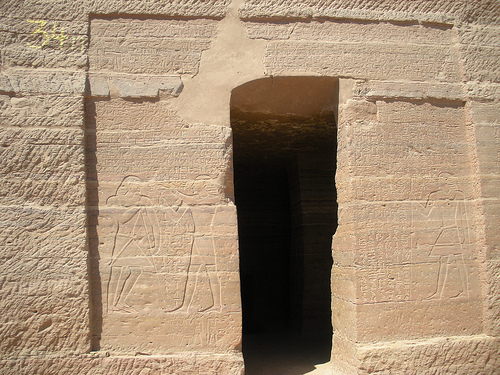 The stele on the rear wall, opposite the entrance, is in a recess approached by steps. 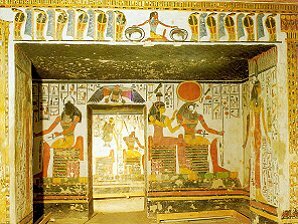 Harkhuf was an explorer, and his tomb contains lengthy descriptions of his pioneering expeditions; three were made in the reign of Merenre, and one in the reign of his successor, Pepi II. Harkhuf called himself ‘caravan-leader’ and journeyed with pack-donkeys beyond the Second Cataract. His first journey took seven months. His second appears to have been even more adventurous and he was proud to record that ‘never had any companion or caravan-leader . . . done it before’. Each time he brought back precious products. Harkhuf had trouble on his third expedition. Some desert tribes were warring with one another, and Harkhuf became involved. 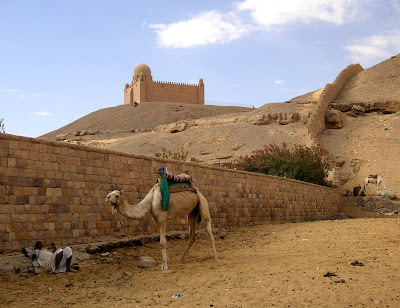 He reduced the Temehu (a tribe related to the Libyans) to subjection and so impressed the Nubian chiefs that they offered him guides and cattle for his return journey. 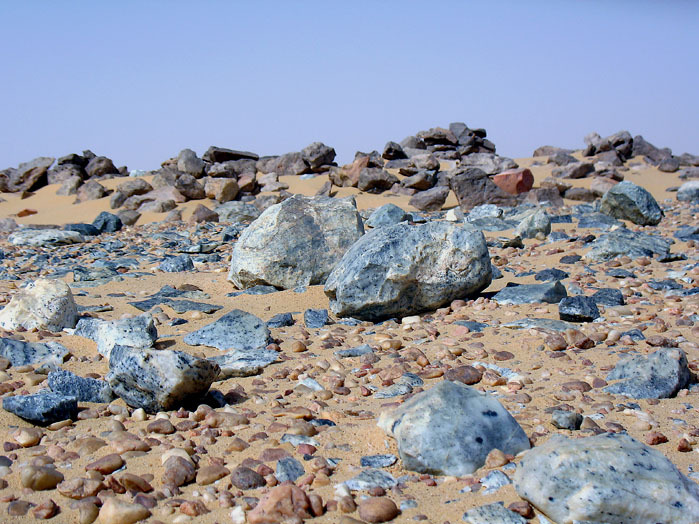 On his fourth expedition Harkhuf brought back gold, ostrich feathers, animal skins, ivory, ebony, incense and gum. He also brought a ‘dancing pygmy’ for his pharaoh, the young Pepi II, who came to the throne at the age of six. 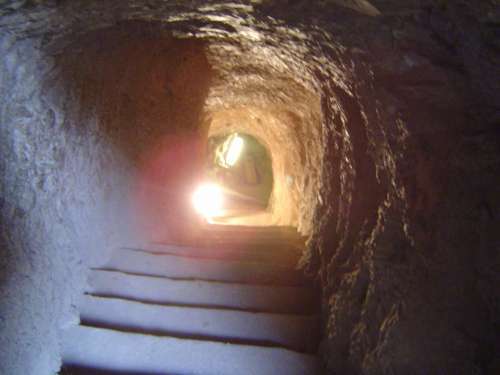 In his record, Harkhuf states that he sent his messengers ahead of his convoy to inform His Majesty of his gift, to which Pepi wrote back in his great enthusiasm that the pygmy should be guarded night and day so as not to fall overboard. 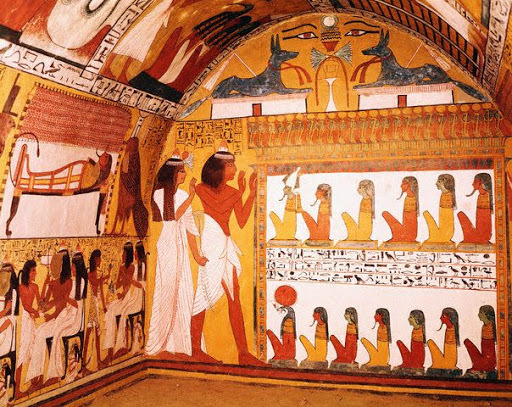 Harkhuf was so proud of the letter that he had it engraved on the fa9ade of his tomb. 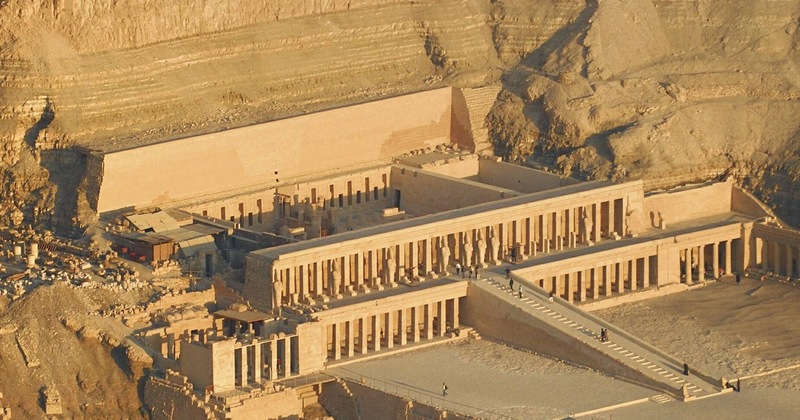 One thousand two hundred years after Imhotep another architect, Senmut, won himself a place in Egyptian history by designing another architectural masterpiece. 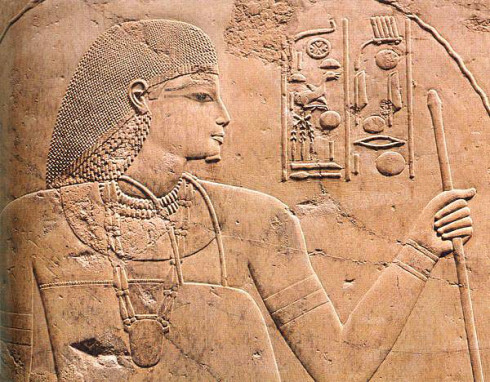 Queen Hatshepsut who was more of a patron of the arts than a military commander, ordered a funerary monument to be built for her father Tutmose I and herself, choosing for the site a valley which had already been consecrated to the goddess Hathor but had then been abandoned. The great insight of her architect- minister was the way in which he exploited the rocks spread out in a fan shape behind the monument. The conception of the monument was thus new, indeed revolutionary. 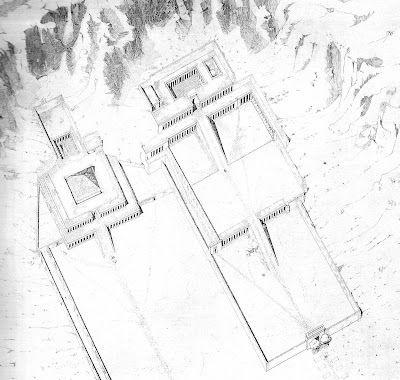 The temple, pointing to the east, consisted of a series of vast terraces which by means of ramps led to the sanctuary. Access to the first terrace was by means of an avenue lined with sphinxes and obelises. At the end of this terrace was a portico from which a ramp led to the second terrace which was also closed at the end by a portico. On one of the walls a series of beautiful bas-reliefs depicts the birth and childhood of the queen as well as the expedition she organised to the mysterious country of Punt which has been assumed to be somewhere in the centre of Africa since among the things depicted are giraffes, monkeys, panther skins and ivory objects. The left hand side of the valley on the other hand was occupied by the gigantic funerary temple of Montu-Hotep I who, five hundred years before Hatshepsut, had also had the idea of building his temple in the valley. He built his tomb according to ideas some of which were typical of the Old Kingdom while others foreshadowed the New Kingdom. 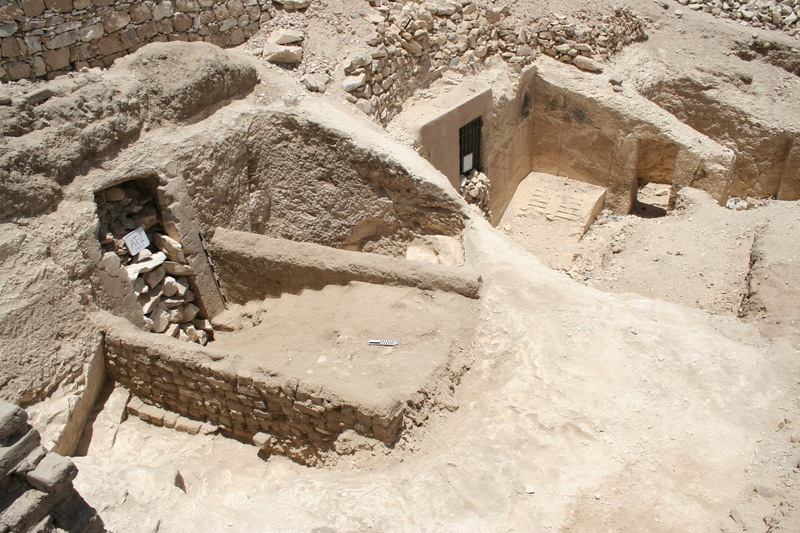 At a later period a Christian convent installed itself in Queen Hat- shepsut’s monument. 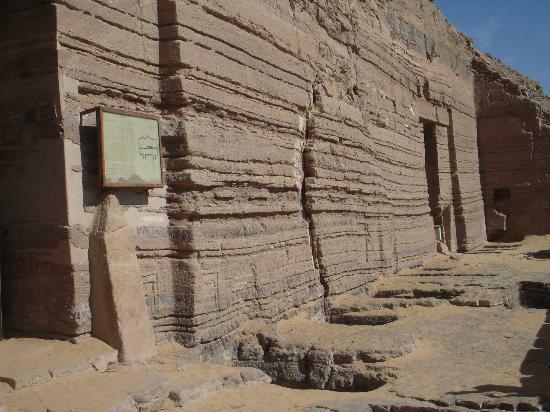 This was called the « northern convent» which gave the area its present name of Deir el-Bahari. We should be thankful that the convent was installed in the temple because it protected it from later depredations. 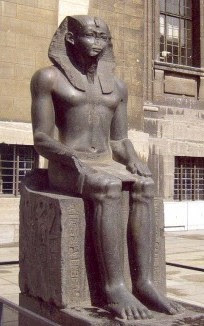 Siremput II was the «Hereditary Prince» during the reign of the Xllth dynasty pharaoh Amon- Emhat II. 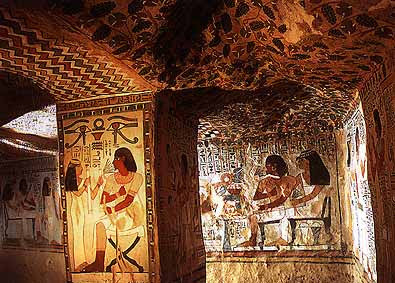 The hypogeum consists of an initial chamber with six pillars, a gallery flanked by six niches each with a mummy-shaped statue of the dead prince, a second square chamber with four pillars, each one decorated with a splendid picture of Siremput, and finally a frescoed chapel. In the latter is a scene showing the prince with his small son paying homage to him in front of a table laid for a meal with bread, sweets, fruit including bunches of grapes and even a duck. Beneath the table stand carafes of wine. 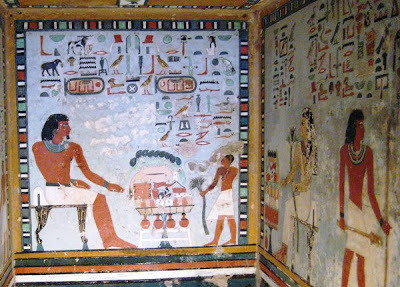 The adjacent wall shows the prince’s wife, a priestess of Hathor, who is also seated before a ritual meal. 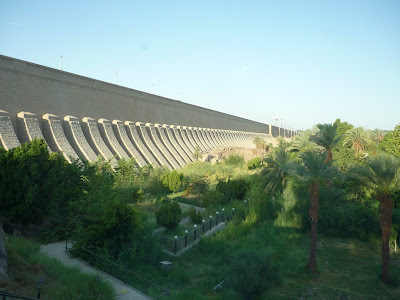 The late Aga Khan III, leader of the Ismaili community, a sect of Islam, found such peace and beauty in Aswan that before he died in 1957 he chose a site on the western bank of the Nile, on a peak overlooking his favourite part of the river, for his tomb. 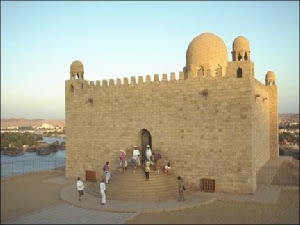 His Mausoleum, built in the Fatimid style with a single dome, is a landmark of Aswan today. It stands cool and isolated on an area of 450 square metres. It is constructed of rose granite, and the inner walls are of marble embellished with verses from the Koran. The Aga Khan claimed direct descent from Fatimah, the daughter of the prophet Mohammad. 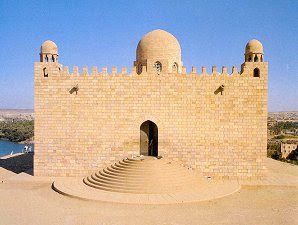 The tombs of the Fatimids are on the eastern bank of the Nile. 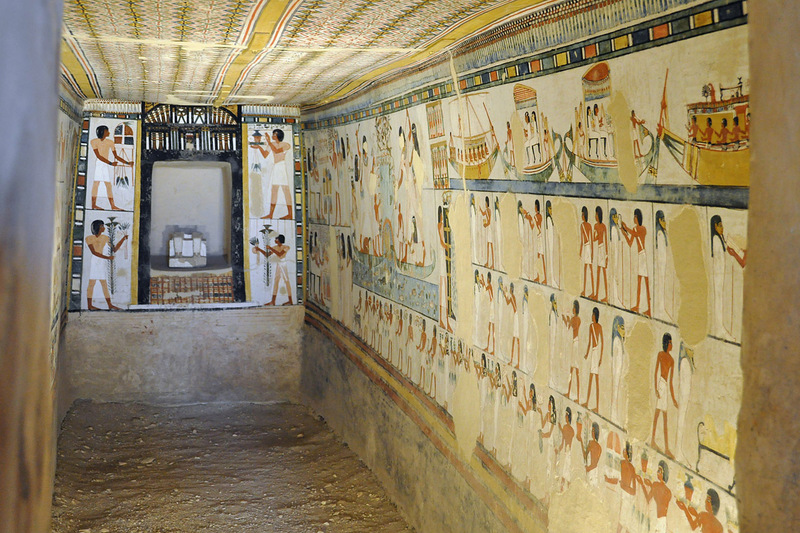 The owner of this tomb, described as the «Scribe of the Land Register of the Master of Upper and Lower Egypt», utilized a pre-exist- ing tomb and enlarged it. The decoration depicts scenes (such as work in the fields, the pilgrimage to Abydos, the sons and daughters of Menna) which are among the most elegant in the whole necropolis. Of this tomb, which belonged to the son of Zat-Seni, a prince of the Xllth dynasty, there unfortunately remains today very little to bear witness to the fact that it was the biggest and the most richly decorated in the whole necropolis. 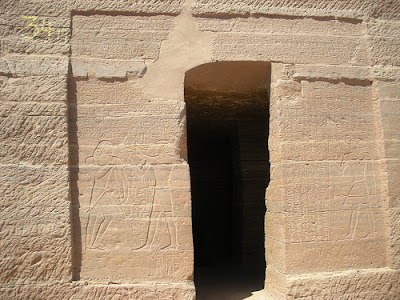 One can still see part of the surrounding wall and the limestone doorway at the entrance which has delicate bas-reliefs showing scenes from the life of the dead prince. 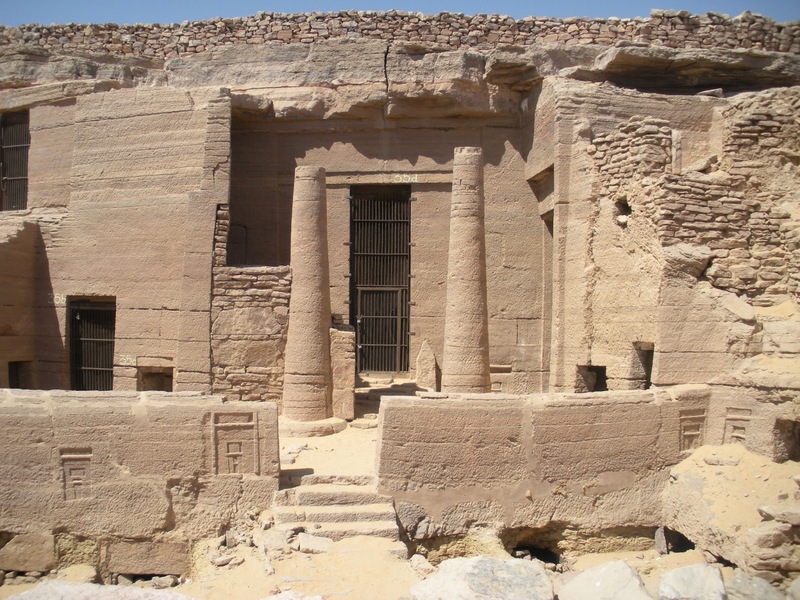 At the end, the facade of the tomb had a portico with six pillars. 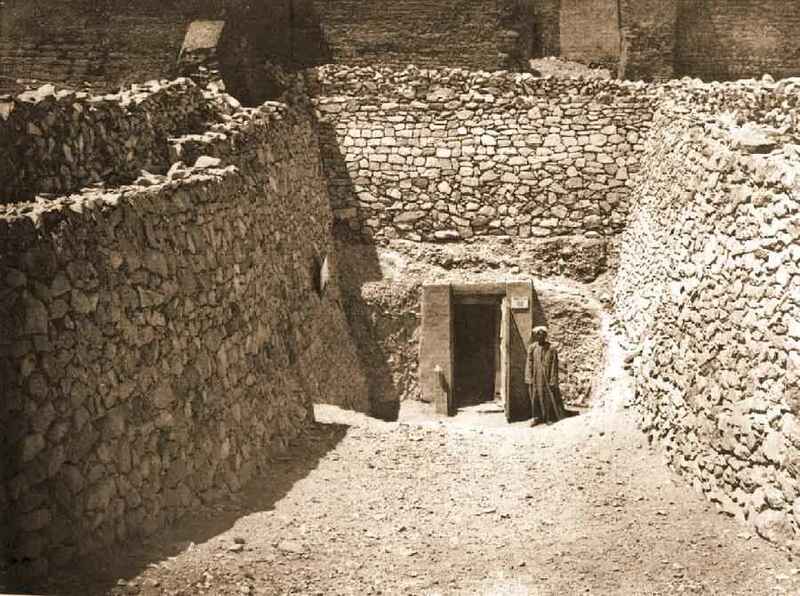 The «royal superintendant» Kiki was buried in this tomb which later was used as a stable. 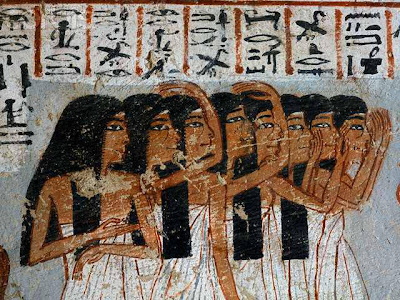 On one of the walls is depicted the journey of the dead man’s remains to Abydos and one can see the professional mourners wailing as well as servants carrying offerings. The tombs of the great dignitaries from the dynasties of the Middle Kingdom are to be found in three adjoining areas, Assassif, Khokhah and Sheik Abd el-Gurnah. Their main characteristics are extreme architectural simplicity compared with the royal tombs and a choice of iconography notable for its freshness and vitality. Furthermore the tombs in this valley furnish valuable information on court life in ancient Egypt such as the offices and functions of the various dignitaries. 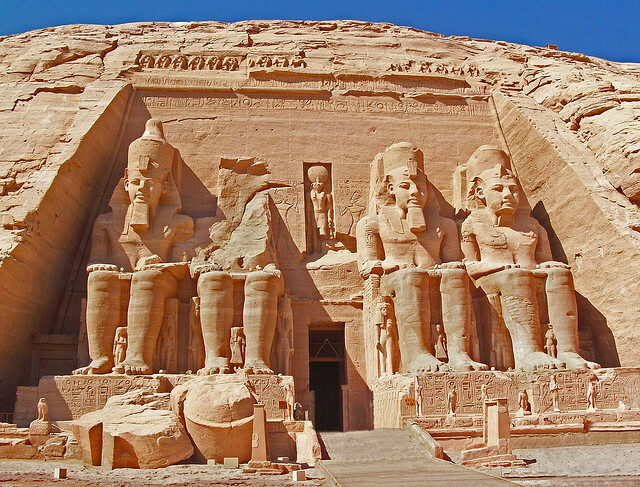 This great national monument of Egypt has no equal. 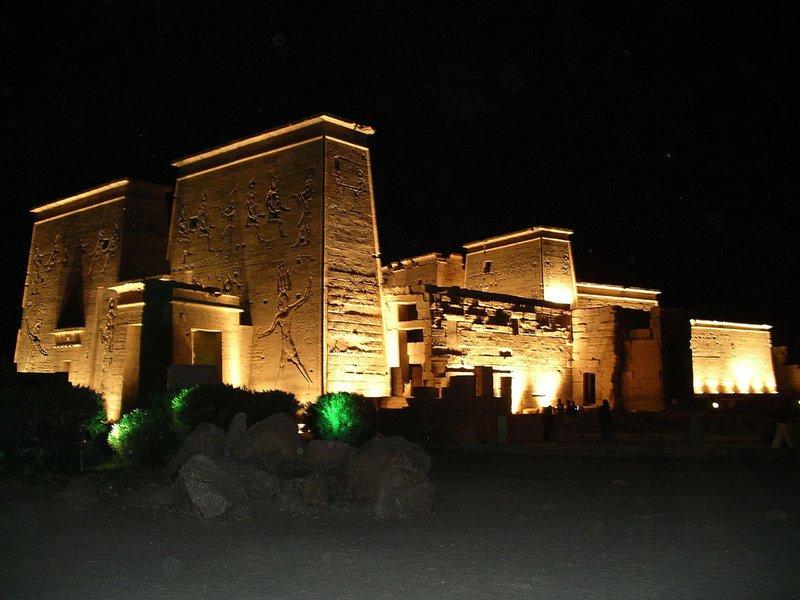 It is not a single temple, but temple within temple, shrine within shrine, where almost all the pharaohs, particularly of the New Kingdom, wished to record their names and deeds for posterity. Though most of the structures were built in honour of Amon-Ra, his consort Mut and son Khonsu, there were numerous shrines within the complex dedicated to what might be called ‘guest deities’, like Ptah of Memphis and Osiris of Abydos. 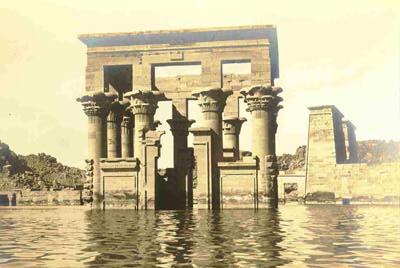 As successive pharaohs replanned entrance pylons, erected colonnades and constructed temples, they often reused valuable blocks from earlier periods. 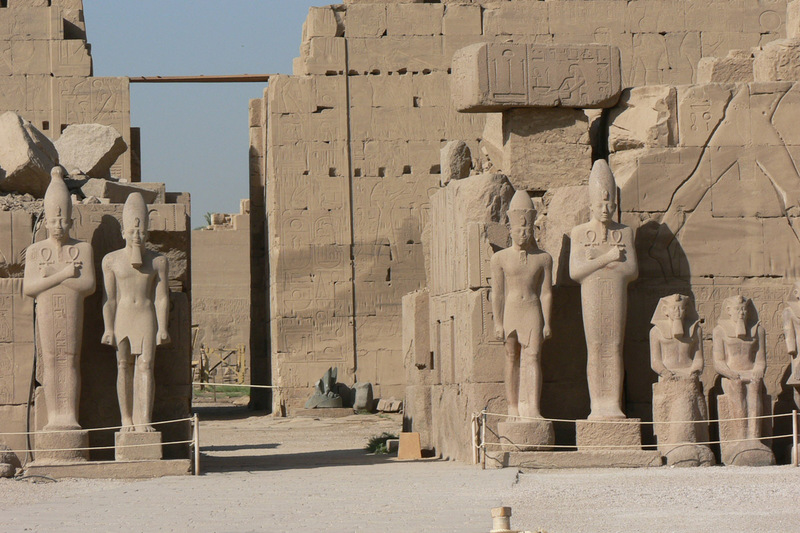 In the core of the Third Pylon built by Amenhotep III, for example, there were blocks of no less than ten temples and shrines from earlier periods. 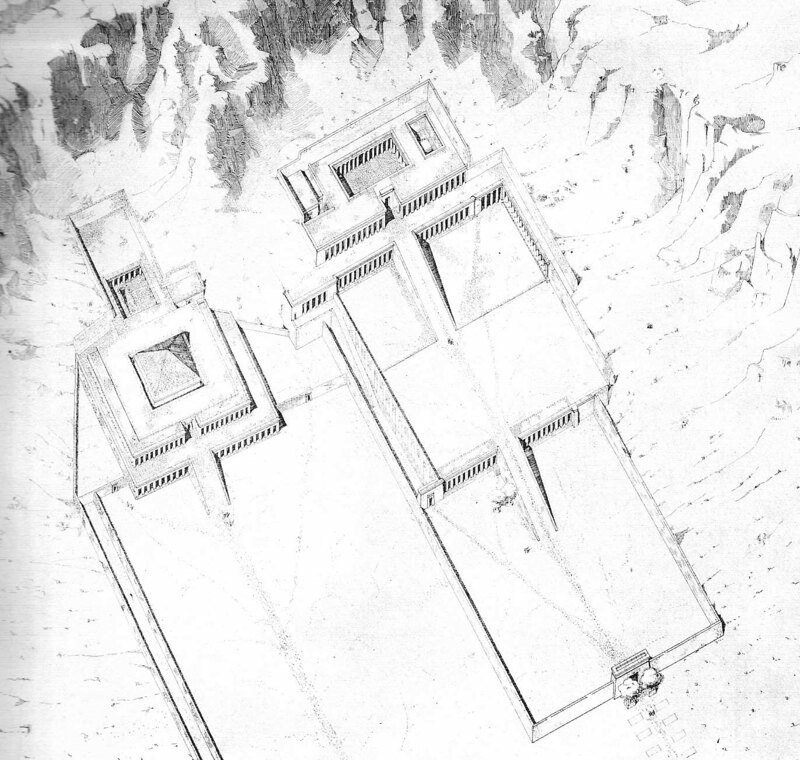 In cases where it was found necessary to remove a construction completely (either for purposes of design, for political reasons, or in times of threat of war), the temple or shrine was carefully dismantled and buried. 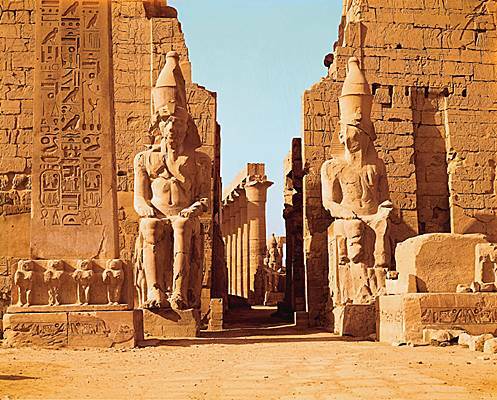 The Sun Temples of Akhenaten suffered this fate. 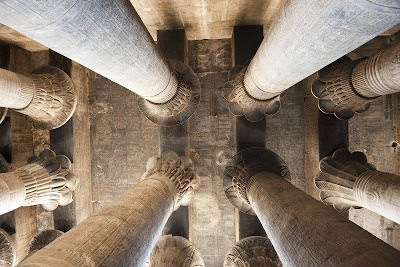 Thousands of distinctly uniform, decorated sandstone blocks, known as talataat, were buried beneath the Hypostyle Hall and the Second Pylon, as well as within the core of the Ninth and Tenth Pylons. 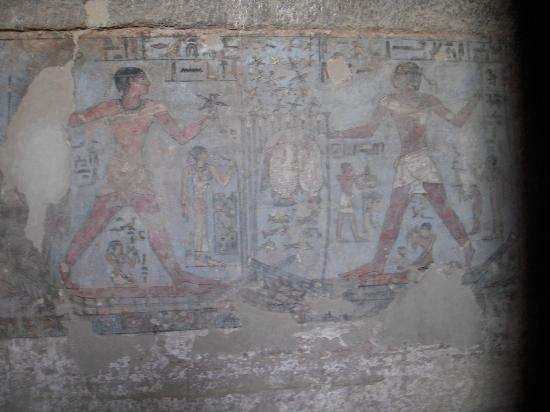 One of the most challenging problems facing Egyptologists today is to trace the history of the temple of Amon at Karnak through such reused or buried evidence. The Entrance Pylon (P. i) was possibly constructed during the Kushite Dynasty and it was never completed. 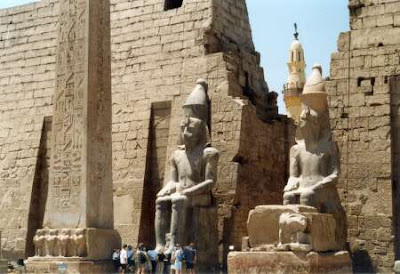 It is approached from a landing stage where there are two small obelisks erected by Seti II, down a flight of stairs, and between a double row of ram-headed sphinxes. 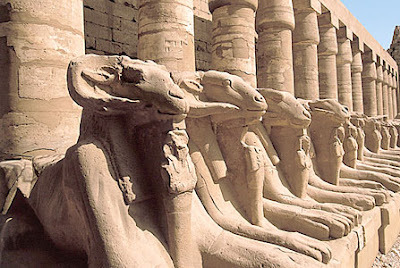 Between the forepaws of each sphinx is a statue of Ramses II. Passing through the first pylon, we enter the Great Court (i), which spreads over an enormous area of 8,919 square metres and contains monuments spanning many Dynasties. The single smooth- shafted column with lotus capital near the centre of the court was one of ten raised by the Kushite pharaoh T aharka. 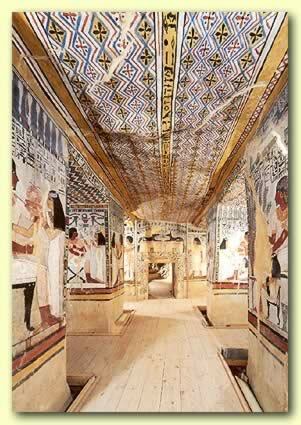 T o the rear is the Second Pylon (P. 2) built at the beginning of the 19th Dynasty. 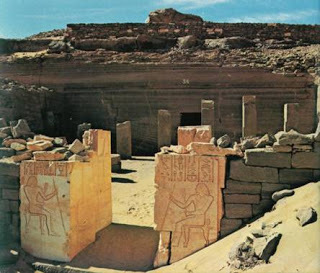 To the left is a shrine (2) built by Seti II in honour of the three gods of Thebes. To the right is the Temple of Ramses III (3), which is a fine example of a traditional temple. Perhaps no city in the world has bequeathed to us more numerous nor mightier monuments than Thebes. The ancient city stood on both sides of the Nile, and few spots in Egypt are so ideally suited to such a purpose. The range of hills to the east and west curve away from the river’s bank leaving broad plains on either side. 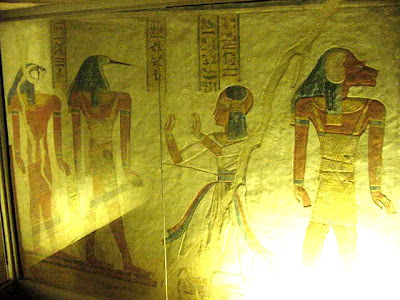 Here marvellous monuments were raised in honour of Amon-Ra. 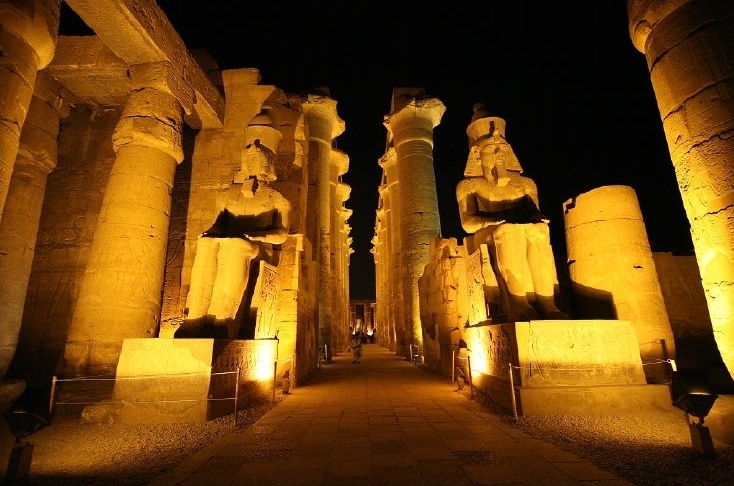 Luxor, which developed into the great capital of the Egyptian empire, had no particular importance during the first thousand years of Egypt’s ancient history. 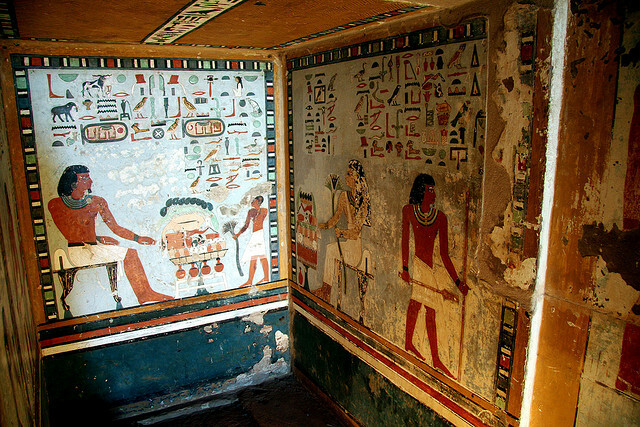 When Narmer moved northwards to unite the Two Lands and establish Memphis as capital; in the Early Dynastic Period when the kings constructed their cenotaphs at Abydos; during the Great Pyramid Age when granite was quarried from Aswan in the south and transported to the necropolis of Giza to the north throughout all these long centuries Luxor was no different from the chief cities of other provinces. 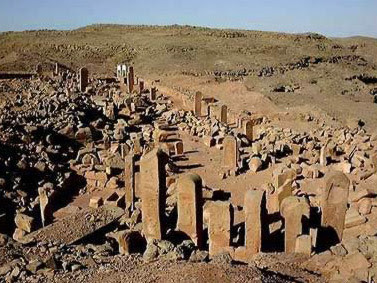 It was only after the collapse of the Old Kingdom, when the country had passed through the period of disorder known as the First Intermediate Period, that a noble family from Armant, a village south of Luxor, began to assert themselves. They had already shown their powers of leadership by distributing grain between various provinces in times of low flood, and towards the end of the ioth Dynasty (2133 BC), they annexed Luxor and moved northwards. Their aim was to reunite the Two Lands and take over leadership. At this time another powerful family from the Fayoum area ruled from Memphis to Assiut, and aware of the aspirations of the Theban family, they moved their forces to meet them. The result was a long and bitter struggle. 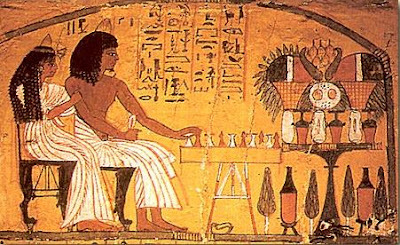 However, the Thebans emerged victorious, reunited the Two Lands, and launched Egypt on its second great period: the Middle Kingdom. For some two centuries (1991-1786 BC) Egypt enjoyed a period of peace and prosperity. Luxor, however, was capital for only a short time before the pharaohs chose a site more suitable for a central government: El Lisht, some thirty kilometres south of Memphis. 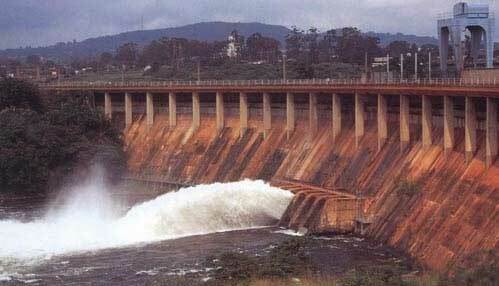 Political stability led to an art and architectural revival, important irrigation projects, and extensive commerce with neighbouring lands. 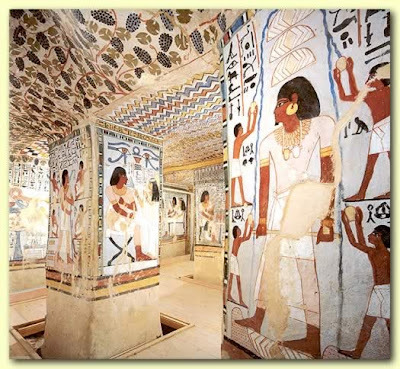 Egyptian influence spread to Libya, Crete, Palestine, Syria, and southwards to Nubia where great fortresses were built (page 127)The most significant event in Luxor, however, was the introduction of the god Amon-Ra and the building of modest shrines in his honour. It was only after the Hyksos occupation and expulsion that Luxor and its local god achieved prestige, and then on a scale never imagined. For, after the Thebans (Kamose followed by his brother Ahmose, father of the New Kingdom) won the war of liberation, they not only drove the hated occupiers out of Egypt but swore to avenge their country for its suffering. They followed the enemy into Asia, and the age of conquest began. The New Kingdom (1567—1080 BC) was the empire period. Thutmose I extended Egypt’s southern border towards Kush (page128) and Thutmose III established Egyptian supremacy in Asia Minor and all the neighbouring countries. 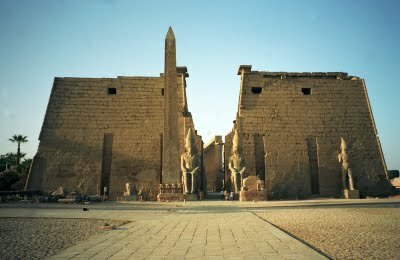 As trade flourished, Luxor became paramount among the cities of Egypt. 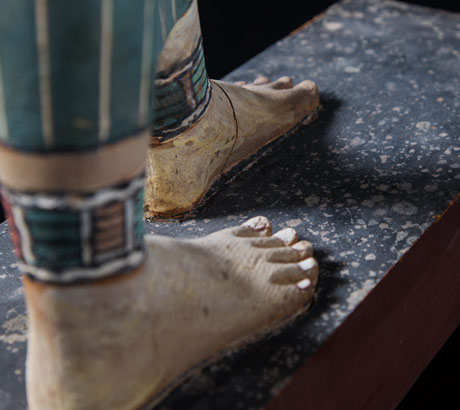 Caravans from the conquered territories, laden with gold and silver, precious metals, ivory, timber, spices, rare flora and fauna, made their way to Upper Egypt. 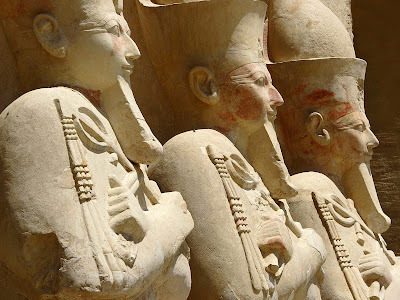 The priests of Amon-Ra, into whose hands a vast portion of the wealth was pouring acquired increasing influence, and the pharaohs ordered the construction of marvellous monuments in honour of their god. They declared that Amon-Ra was not only ‘God of Karnak’ and ‘God of Thebes’, but was, in fact, the ‘King of Gods’, and that their priesthood was second to none.